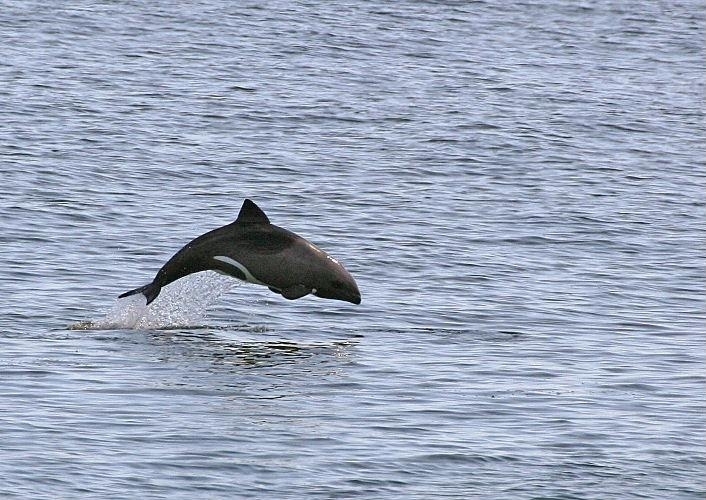 Heaviside’s Dolphins are small cetaceans with blunt heads and robust bodies. 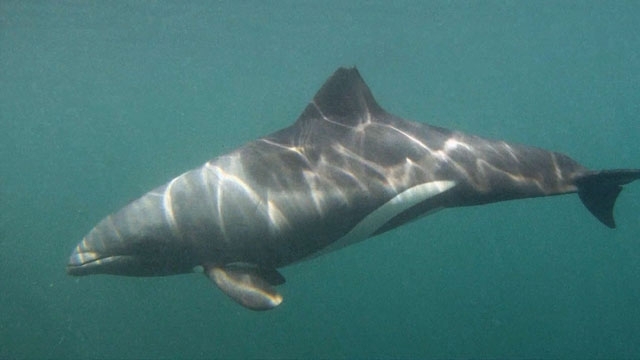 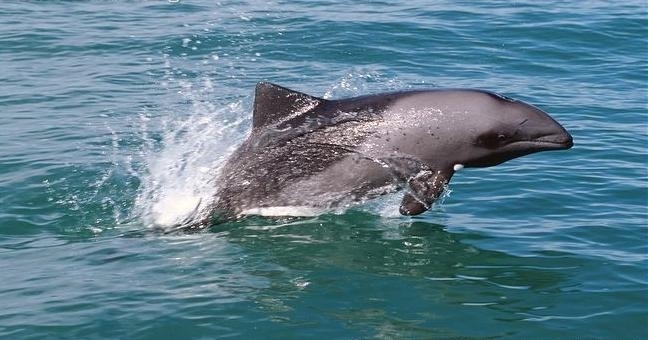 The Haviside’s Dolphin is actually named after a Captain Arther William “Haviside” who brought a specimen from Namibia to the United Kingdom early in the 19th century. 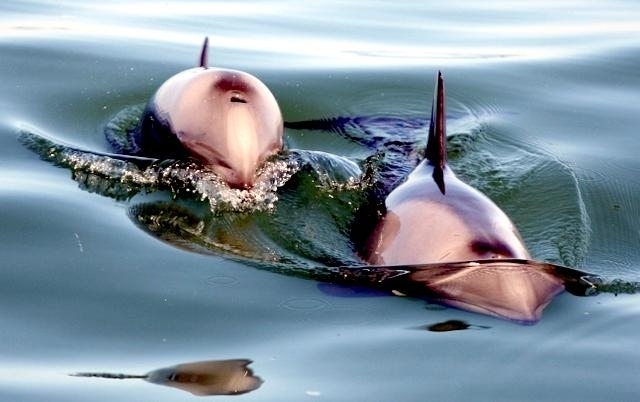 However, its name was once misspelled Heaviside after a prominent surgeon, Captain Heaviside who collected cetacean and other animal species. 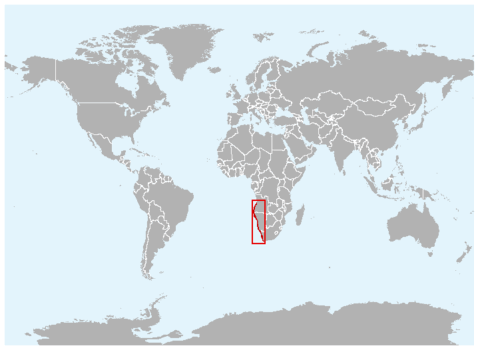 The latter name stuck and is the most common in the literature. 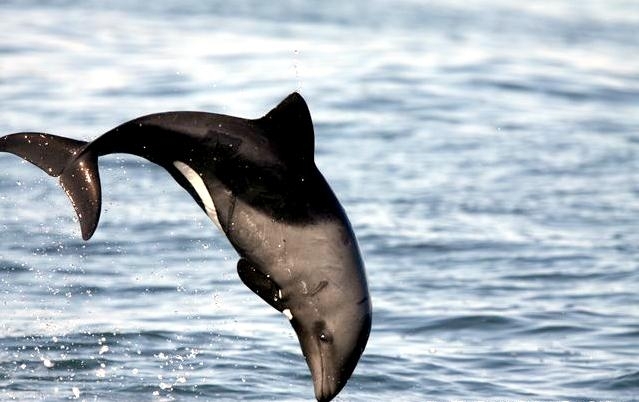 Adults reach an average of 1.7 meters in length and weigh between 60-71 kilograms. 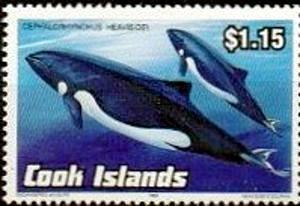 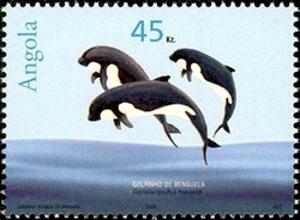 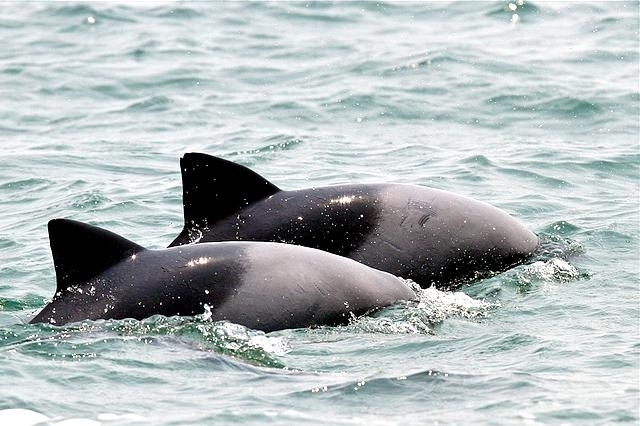 They do not have beaks and are often mistaken for porpoises. 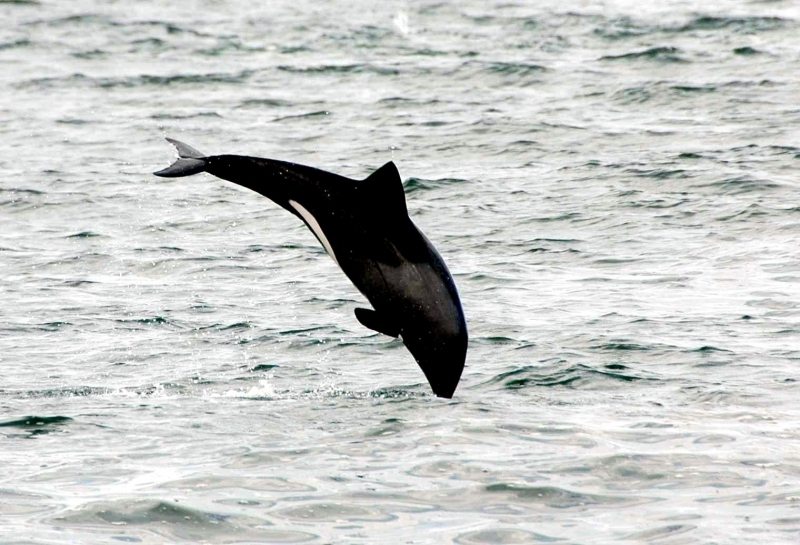 They have round paddle-like flippers are rounded and almost paddle-shaped and a large triangular dorsal fin. 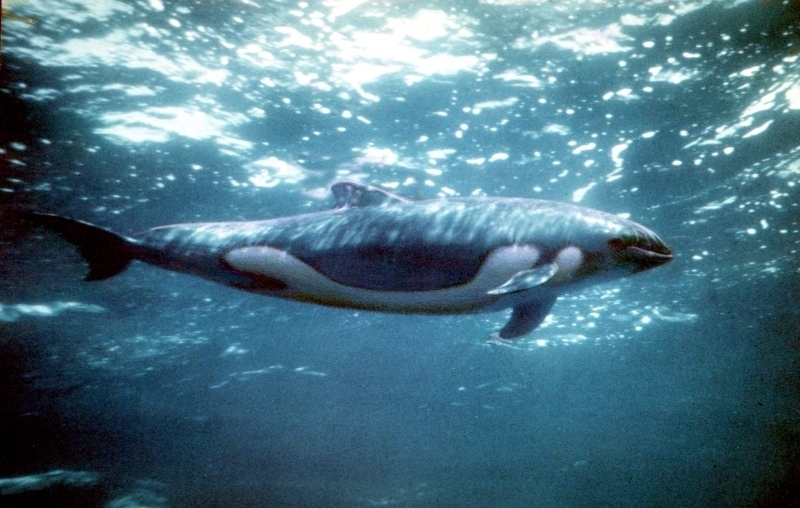 The posterior half of the body is solid gray with a dark gray “cape” over the head & throat. 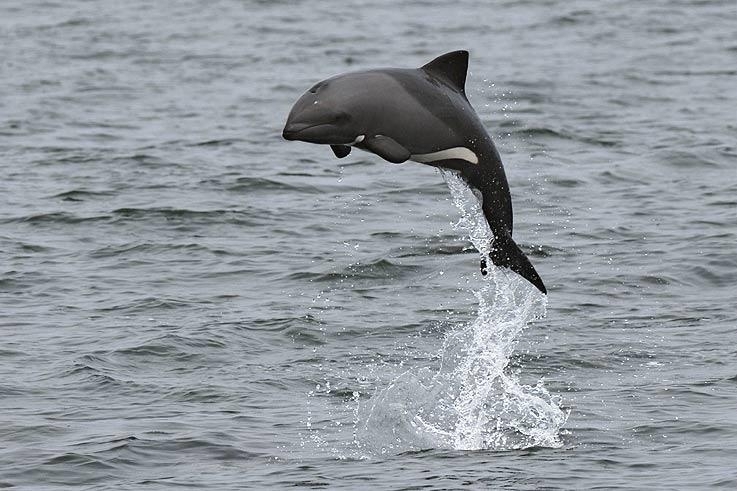 The anterior half that covers the dorsal fin, flanks and tail stock is dark blue-black. 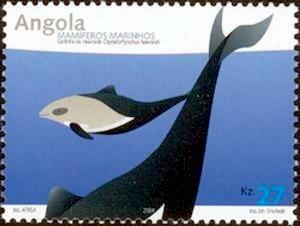 There is a transverse band on the ventral surface in front of the pectoral fins and a triangular marking behind each of the pectoral fins. 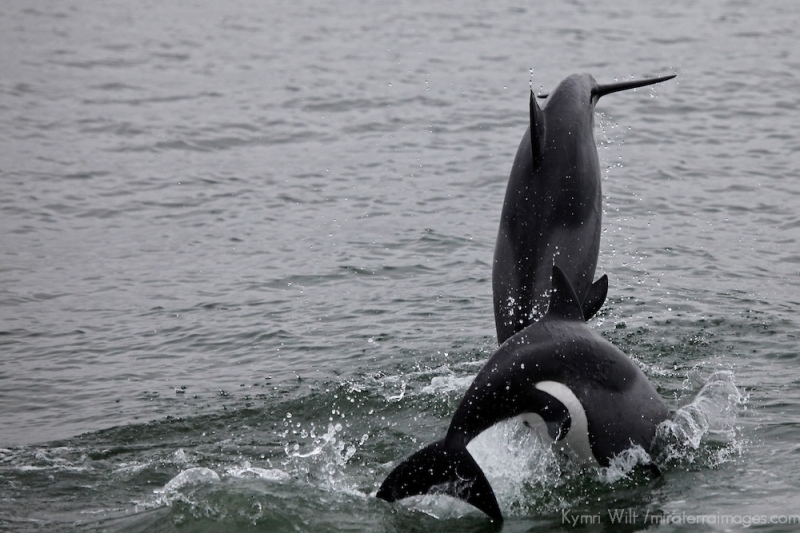 A longitudinal line is found on the belly that separates into 3 forks beneath the dorsal fin. 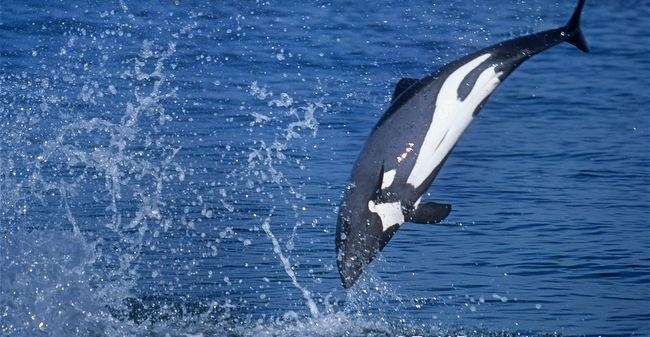 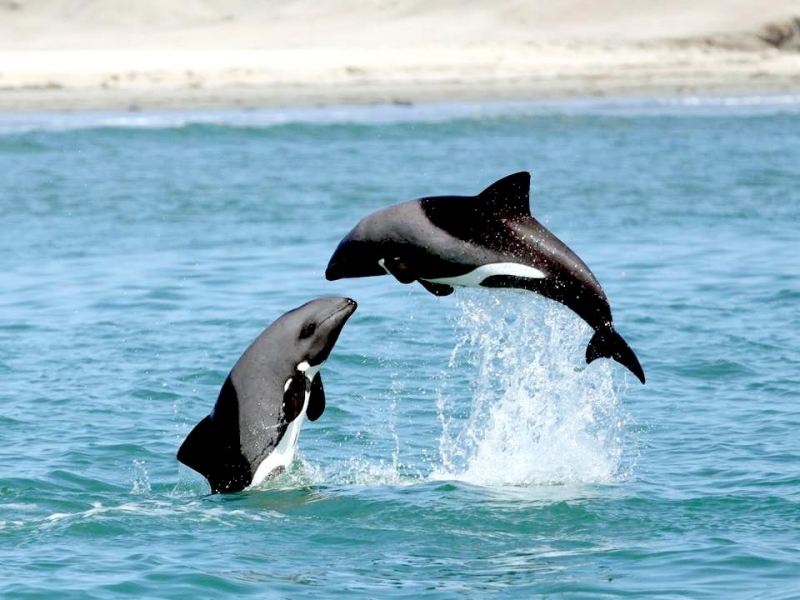 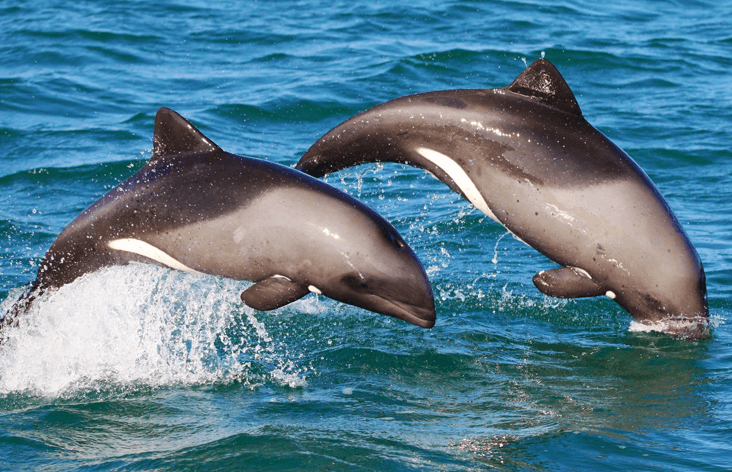 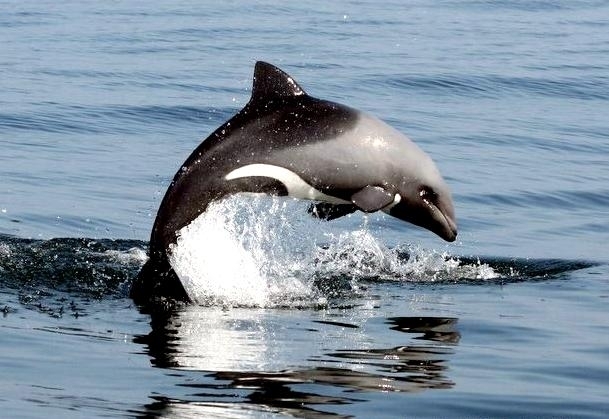 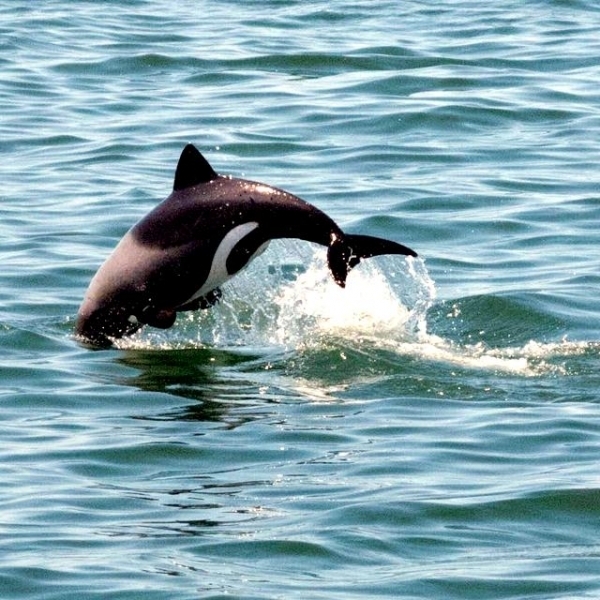 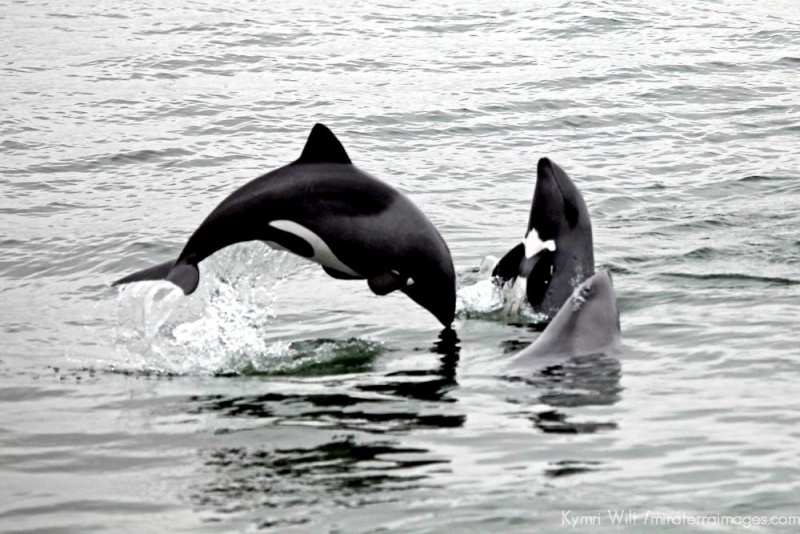 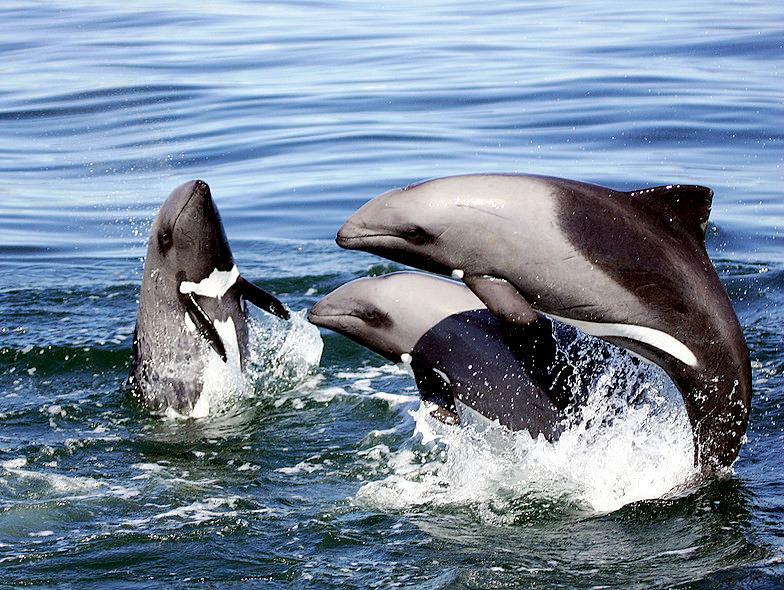 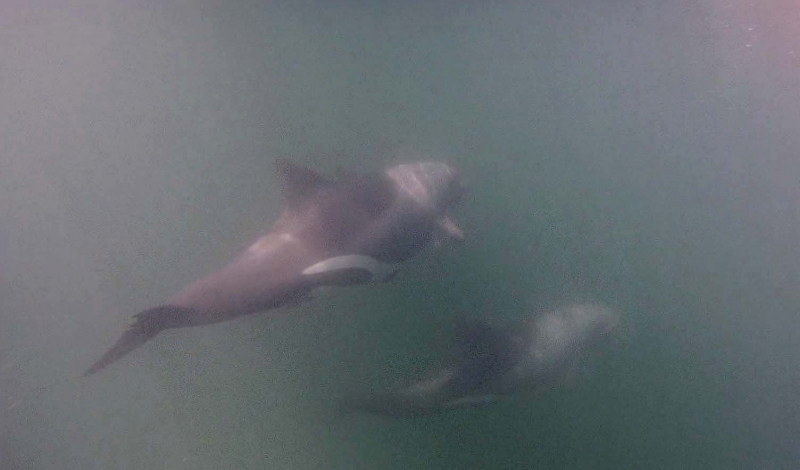 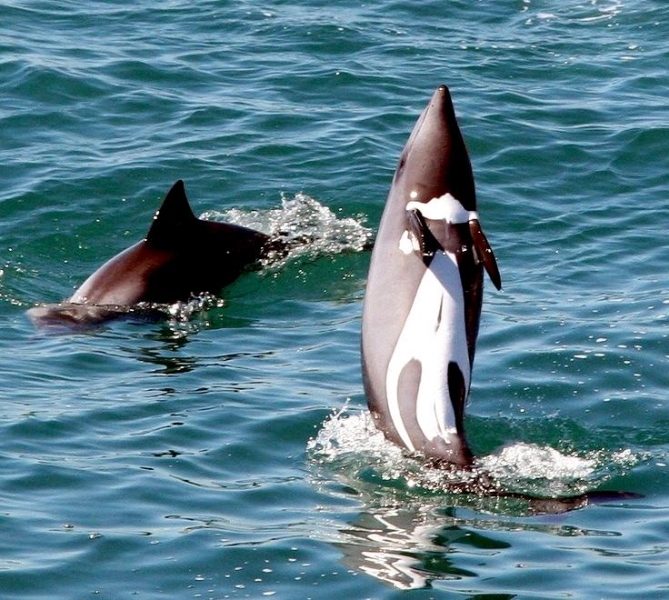 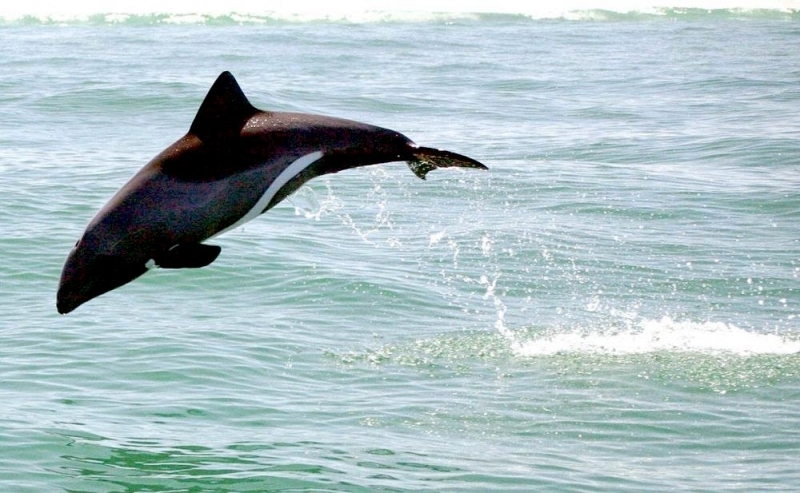 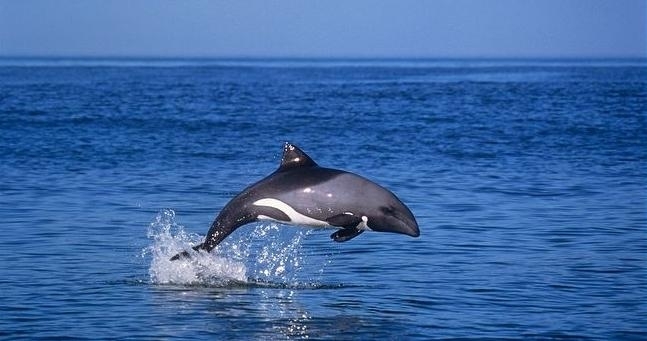 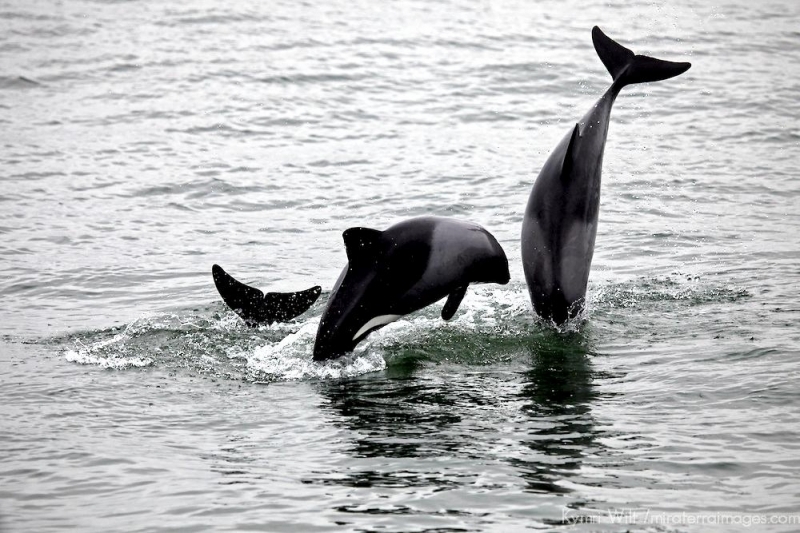 The dark coloring of the Heaviside’s Dolphin is very similar to a young Killer Whale, although these 2 species differ in size and are therefore distinguishable. 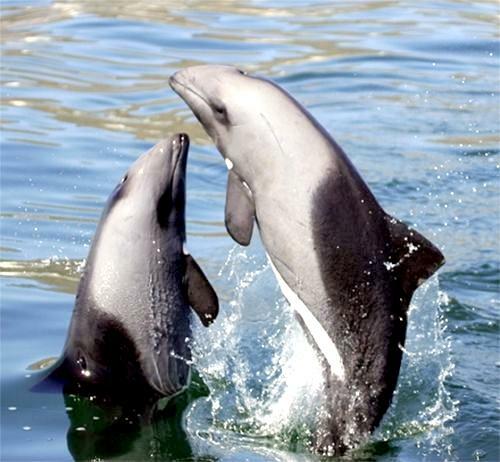 In terms of human interaction, the Heaviside’s Dolphin is known as the shy version of its playful counterparts. They do approach boats and bow ride and they will accompany marine vessels for several hours, although they are thought to have restricted ranges and are not likely to travel far. 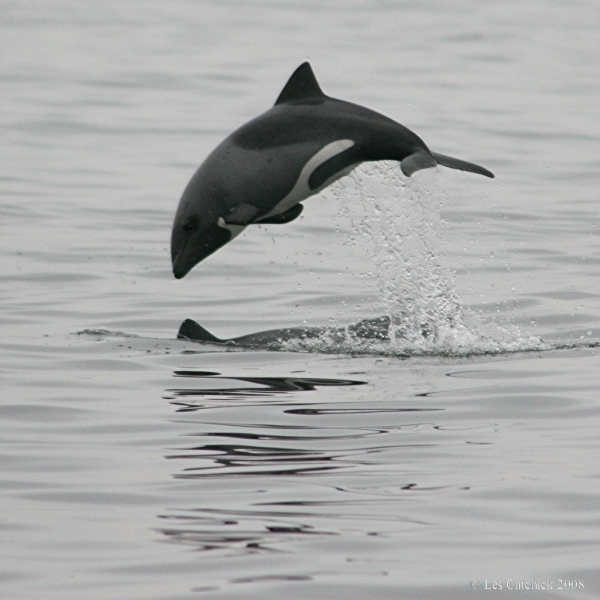 Heaviside’s Dolphins are found in small pods of 5-17, although pods of 3 are most common. 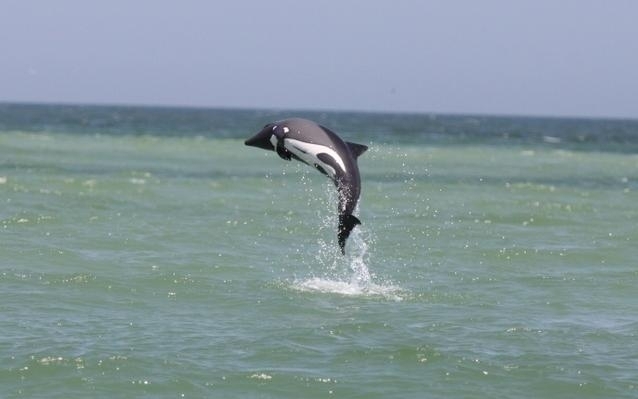 They are found in coastal waters off the southwest coast of Africa from northern Namibia (17°09’S) south to Cape Point in Cape Province (34°21’S). 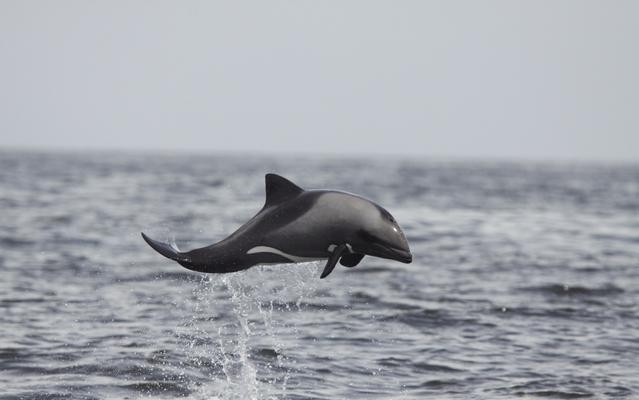 Although they are not thought to be rare, they are not abundant throughout their range which is limited to about 1,600 kilometers along the African coastline. 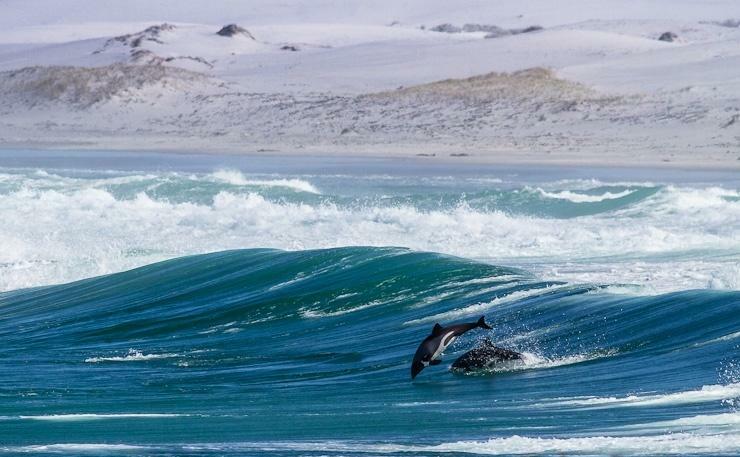 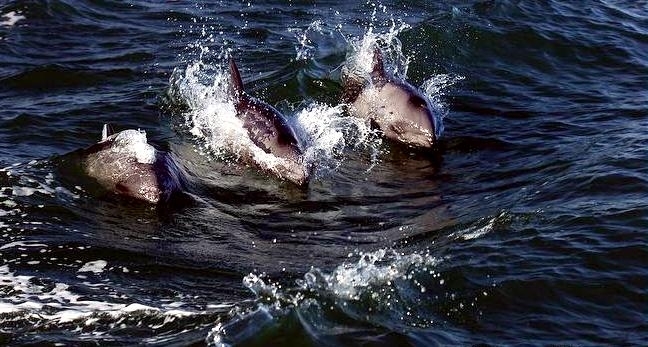 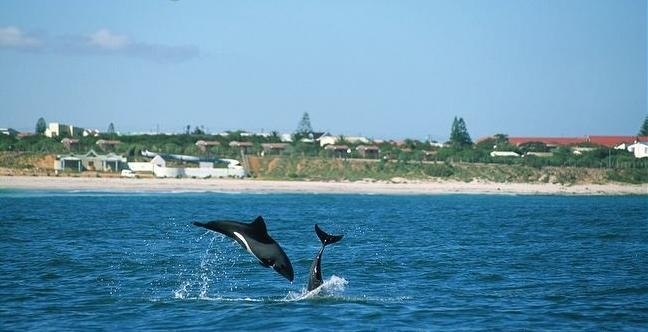 Heaviside’s Dolphins prefer shallow coastal waters 100 meters deep within 8-10 kilometers of the shore. 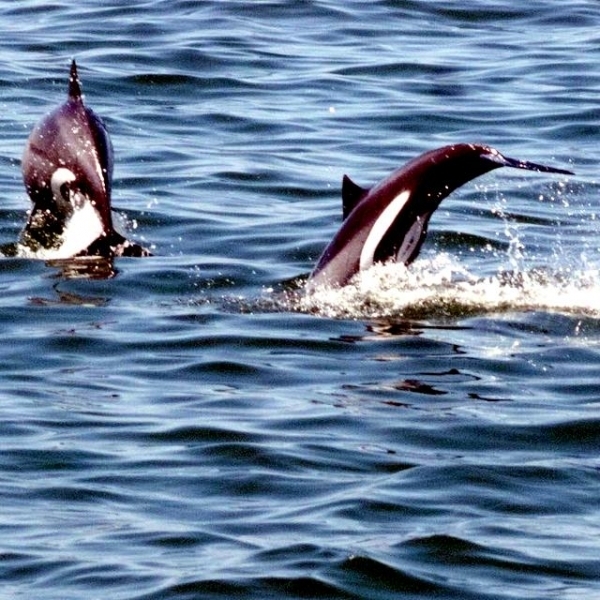 Population density surveys have within 8 kilometers of the coast have shown low population densities of around 5 sightings per 160 kilometers. 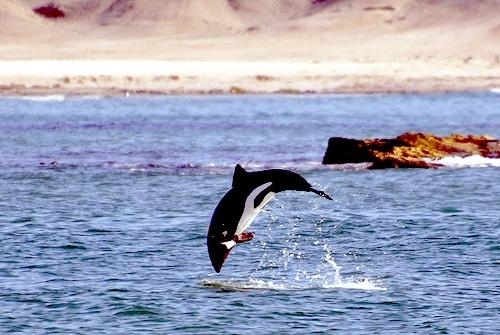 This species appears to prefer the cold waters of the Benguela current and some populations do not migrate from this area. 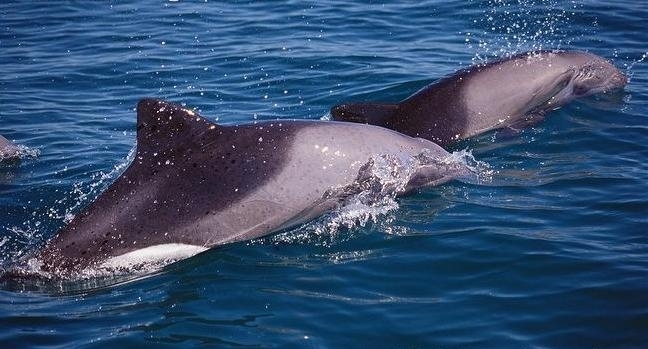 Although they have been sighted in waters ranging from 9-19 °C most sightings indicate a preference of slightly cooler water between 9-15 °C. 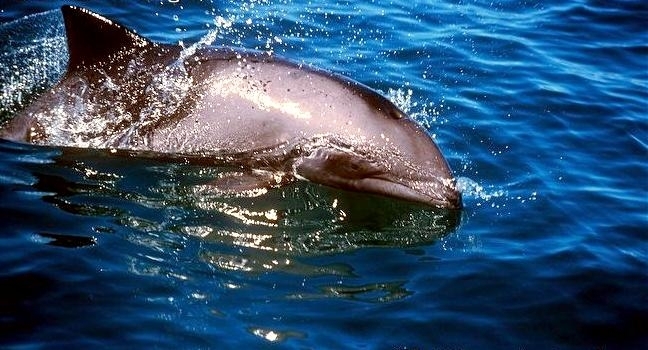 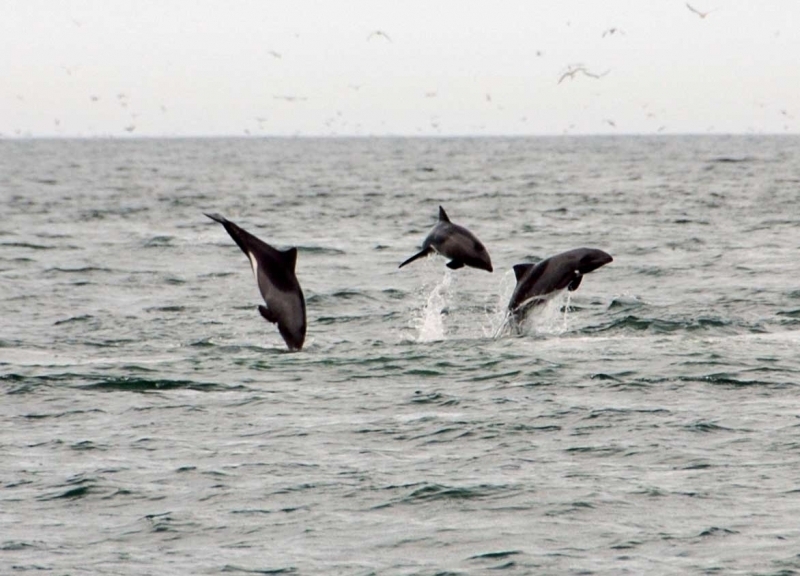 Other than studies indicating that some Heaviside’s Dolphins appear to inhabit the same area year round, overall migratory patterns of this species in not well-known. 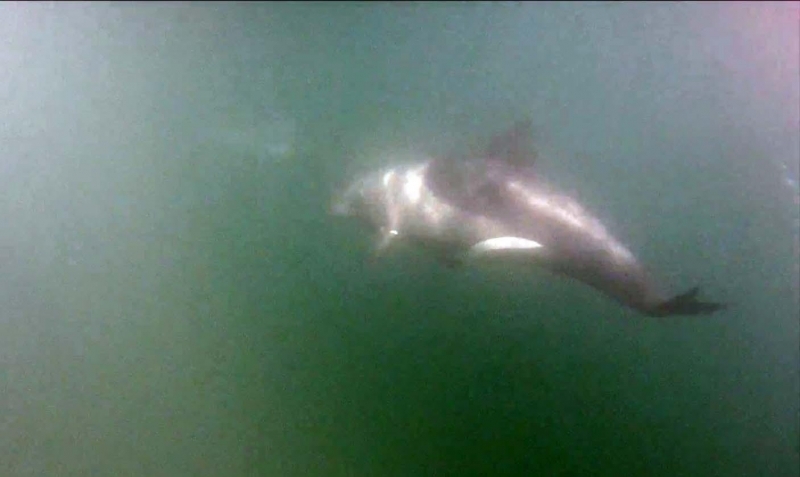 A satellite-tagged juvenile male traveled about 158 kilometers north of where he was tagged. 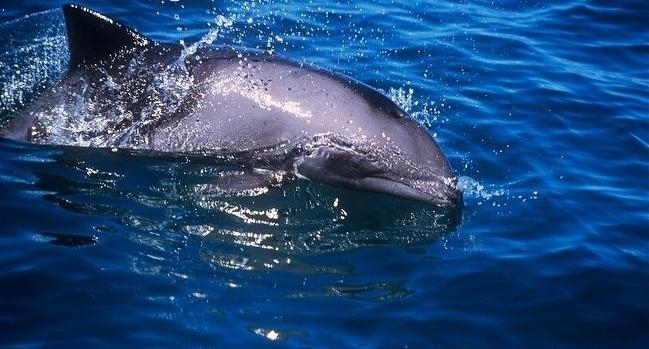 Heaviside’s Dolphins primarily feed on fish such as Hake, Kingfish and Gobies. 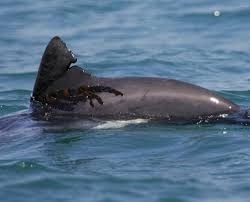 Octopus & squid are also a part of their diet. 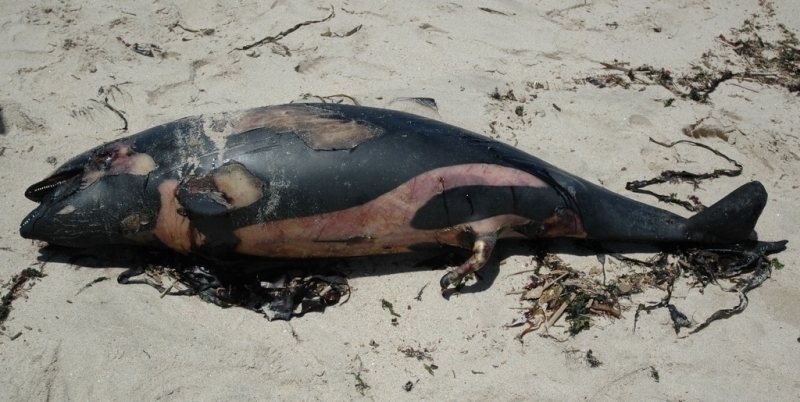 In a study of the stomach contents from 17 Heaviside’s Dolphins, a total of 4,928 different food items were identified. 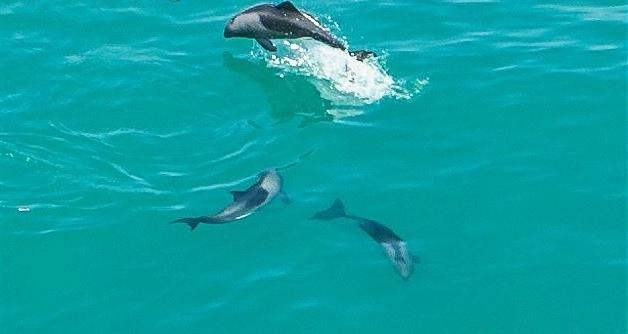 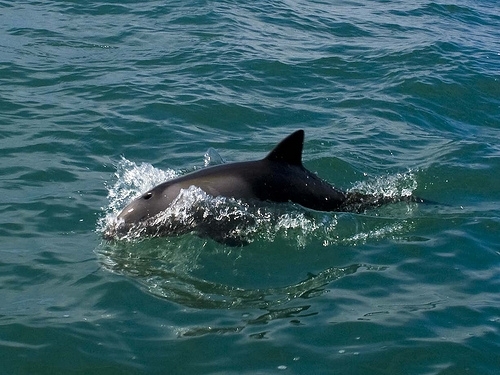 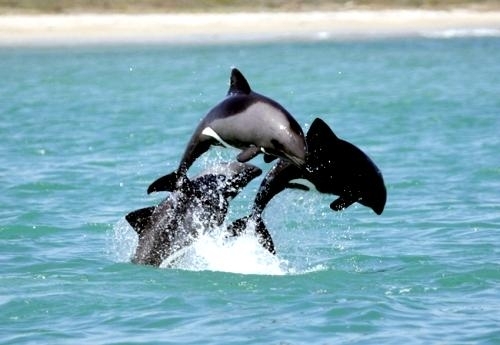 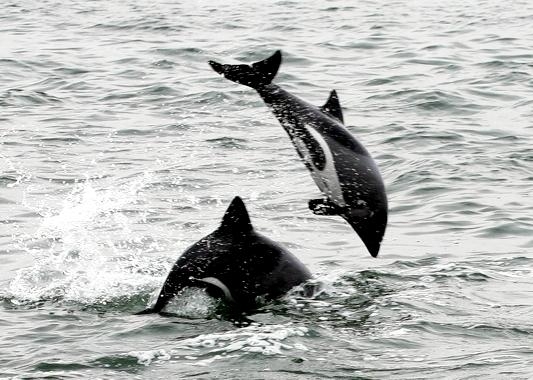 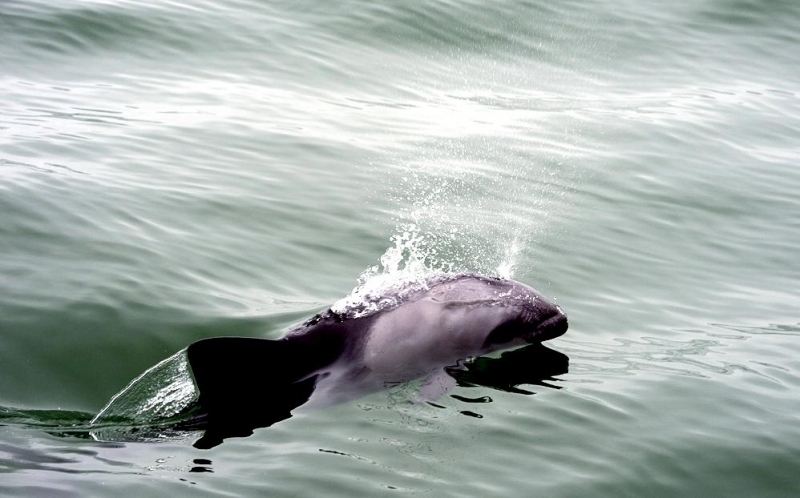 No data are available on the reproductive habits of this dolphin.